Tragedy caught the Avalon village by complete surprise, but witnesses never forgot the terrible blaze. 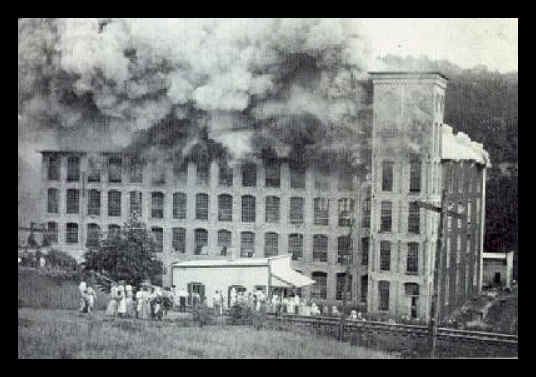 This fire destroyed the mill, and resulted in a number of mill workers relocating to Leaksville and surrounding towns. 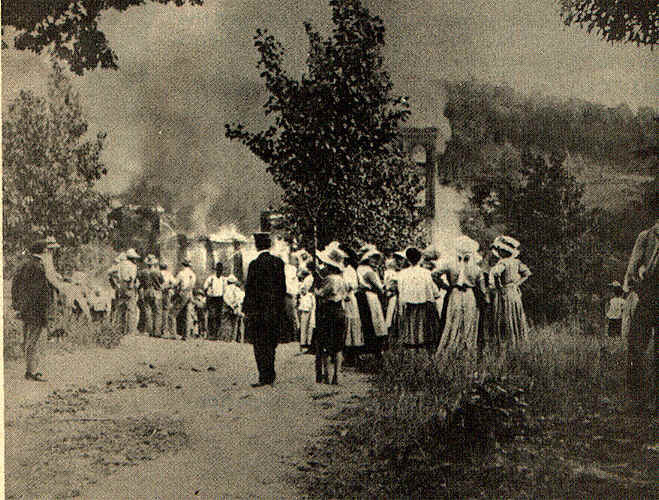 June 15, 1911, began like any other day in Avalon, a picturesque village spread over the lap of a small valley in the hills of Rockingham County, North Carolina, two miles east of Mayodan and sandwiched between the banks of the Mayo River and what is now US 220. But the day ended in a nightmare that changed forever the life of the people who lived there. The mill was never rebuilt, and the entire town was literally moved away, including about 60 houses. Houses were put up on wheels and moved to Mayodan after the fire. Employees and their families were pushed back by the intense heat.